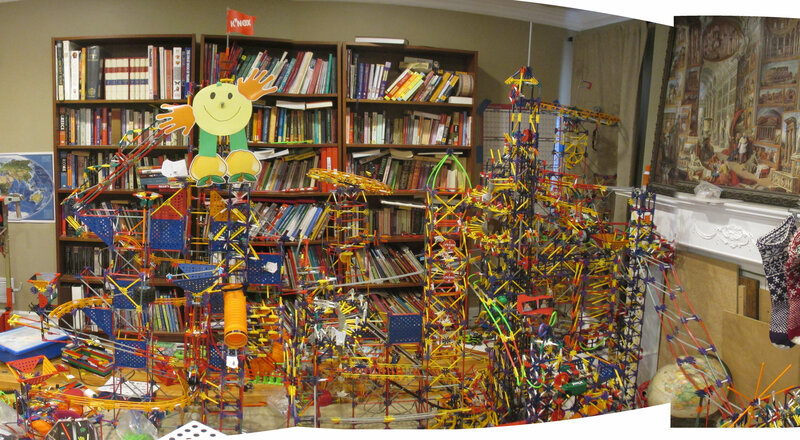 I love to build K’nex ball machines, and I have been building them for a few years. Here is a list of some that I have built. Crazy Double: Finished. 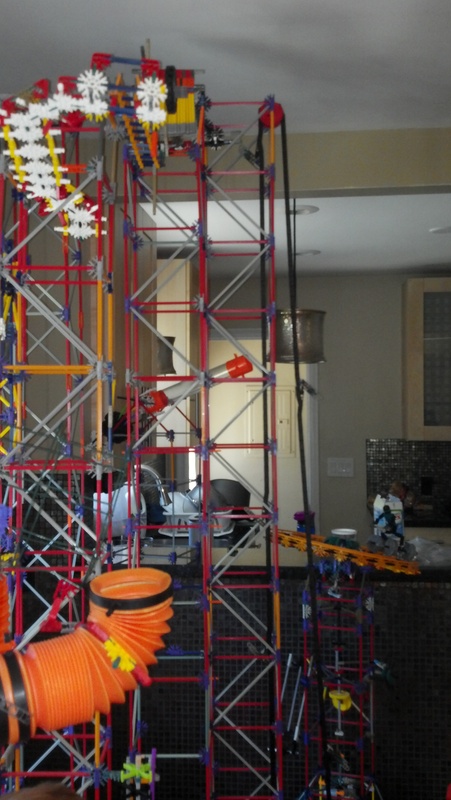 It was a combination of a Big Ball Factory set and a Trampoline Tower set. I connected them with tubes from the Big Air Ball Tower set. I think Ball Machine in the Dining Room was my tallest ball machine for around two years. Then came Grid Machine which beat my record. Grid Machine almost touches the ceiling. The highest point on Grid Machine is 1 1/2 inches from the ceiling. 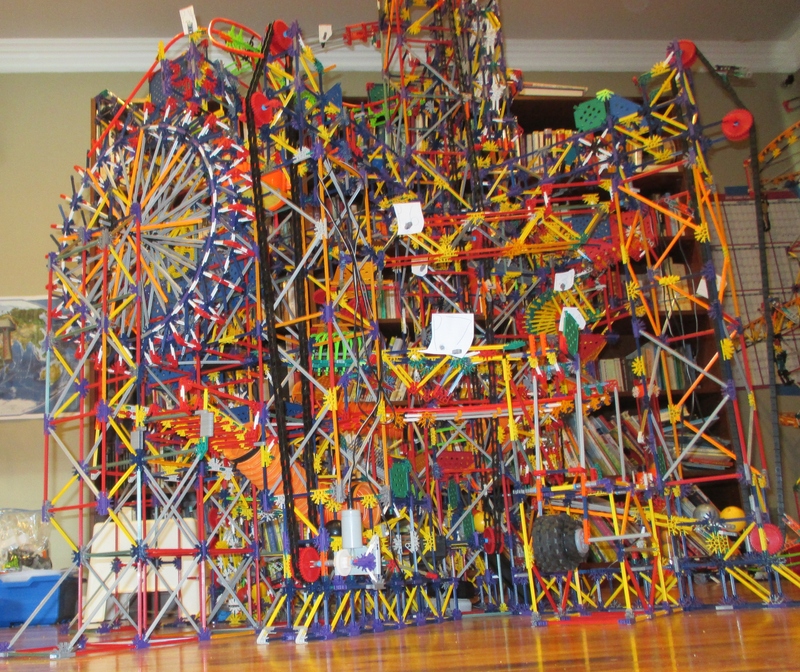 This is one of my K’nex ball machines. I call it X-Tower because from the top, the main structure looks like an X. It has 8 Paths: Path 1, Path 2, Path 3, Path 4, Path 5, Path 6, Path 7, and Path 8. It has 5 Networks: Network 1, Network 2, Network 3, Network 4, and Network 5. Thanks to SandroKnexmaster and KneXtreme for their element designs.